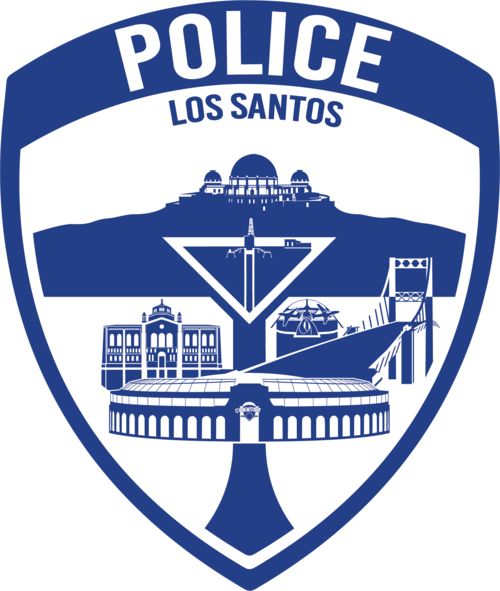 The Police Department’s goal is to protect and maintain Los Santos' high quality of life and prevent crime. The department is responsible for enhancing overall community safety and safeguarding the rights of individuals. The Police Department is organized into specialized units and teams, staffed by both full-time, and volunteer officers to manage calls for service and facilitate problem-solving throughout the community. Join the Police Department Today! Applications for the Los Santos Police Department are open for the first week of every month. The primary duty of the Traffic Enforcement Unit is to enforce traffic laws in Los Santos to reduce and help manage traffic collisions while keeping the flow of traffic as fluid as possible. T.E.U focuses in areas of high crash rate and areas of high D.U.I drivers. Speed is a key factor in T.E.U as our response times are unmatchable yet safe to the public. Our main focus is to keep the streets fluid for traffic, reduce D.U.I incidents, and respond to priority vehicle chase situations. Becoming a Detective is a serious role and a privilege, and all Detectives are held to a high standard of professionalism as well as having strict training requirements. The Vice Unit was established to increase specialized enforcement of social-order offenses within the Los Santos Metropolitan area. The goal of the unit is to deter street level crimes, ranging from gang activities to high risk operations such as arms trafficking, with the assistance of other divisions within the Los Santos Police Department. While the unit participates in high-risk enforcement, the unit also looks to focus on increasing civic engagement within the community and strengthening relationships between community members and the LSPD. The purpose of the PCU is to further train Cadets in the field of law enforcement that was touched upon by their basic DOJ LEO training. We take those lessons that the Cadets were taught in basic training and build/refine it by working with each Cadet to build a lesson plan around their strengths and weaknesses and we in the PCU execute on those plans together with every Cadet as one unit to ensure that by the time the officer reaches the rank of Police Officer I they are prepared for their journey ahead in the LSPD. The city of Los Santos is full of beautiful parks, large shopping malls, theaters which entertain hundreds, and historic and meaningful monuments. With a wide variety of venues within Los Santos the LSPD needs a specialized unit to preserve these landmarks and keep the visiting guest safe. That is the job of the Los Santos Police Department Park Services Division. The LSPD Park Services Division is responsible for the maintenance, protection, and safety of these landmarks throughout Los Santos. All of our members undergo specialized training in park management, recreation, law enforcement, environmental protection, and first aid. To assist our team in these operations we use popular LSPD vehicles to move throughout Los Santos to different landmarks and speciality agile equipment to maneuver throughout each venue. In order to join the Department we require a certain number of traits that you possess. Below we have listed both primary and secondary skills which we would consider a mandatory requirement and a foundation for an applicant so that it can be built on during the academy. The Chief of Police oversees all operations of the police department and has the final say on any and all situations. The Chief commonly meets with all supervisors and receives their input for ways to make the department thrive. The Assistant Chief of Police keeps the Chief of Police informed of all operational activities on a day-to-day basis. The Assistant Chief directs the activities of either the administrative or operational side of the Police Department. They oversee command staff operations and help the Chief along with the other command staff members in making decisions. The Deputy Chief of Police is part of the "Team of Chiefs" who make major final decisions and aid each other in making those decisions. At their rank, They have the same duties as commander and help them with any inquiries they may have, but they also can make major decisions on their own. They can freely promote officers that they feel ready. The Police Commander(s) are part of the command staff team. They oversee all department policies, patrols, divisions, supervisors, and procedures. The Commander(s) usually help make large decisions such as sub-division supervisor picks, SOP reviewal, senior staff picks, and other administrative duties. In the event that there are multiple commanders, they would split up duties i.e. sub-divisions, patrol officers, supervisors. Captains are the highest ranking officer who doesn't hold an administrative position. They oversee large patrols and act as a watch commander. They report to the command staff about the progress of any and all supervisors, sub-divisions, patrol units, department policy, and much more. Most things brought to them by Lieutenants are handled by them unless they deem it necessary to work up the chain of command. They also act as an ambassador to other departments for smaller topics. Lieutenants are the first rank in the police senior staff team. They oversee all sergeants and hold watch command positions in patrol. Occasionally, they will do checks on all of the subdivisions standard operating procedures. Lieutenants help the command staff by giving input on big department policy changes. The Sergeant is the first supervisory rank of the department. They coach corporals and usually continue to run a subdivision until master sergeant. Sergeants are the first official rank on the chain of command. They are in game supervisors and take scene command and can assign units certain duties or beats. Master Sergeants commonly supervise the whole sergeant team and report to their superior about the other sergeants. The Corporals and Senior Corporals of the police department are supervisors in training. Sergeants coach them on supervising techniques and disciplinary action. They help make decisions for the department. Corporal is commonly a sub-division supervisor rank. Senior Police Officers are police officers who have distinguished themselves over other by helping others and excelling at their duties. These officers commonly help subdivision supervisors with running their division. They are also officers who can take initiative on scenes in-game when a supervisor isn't present. The next step in the career ladder with the Los Santos Police Department (LSPD) is Police Officer status. Police Officer I is the classification given to all LSPD officers upon finishing their Cadet status. Their duties are all normal patrol duties such as traffic stops and responding to calls. As officers' skills progress, they begin to rank up through the Police Officer ranks. At the Police Officer status, you are able to join most subdivisions. Some divisions require a rank of Police Officer II. The first step in the career ladder with the Los Santos Police Department (LSPD) is Cadet. It is the entry-level classification given to all LSPD officers upon completing the Police Academy.